Beta tests for new software releases aren't anything new for Android phones or tablets - they're often referred to as "soak tests," especially when manufacturers and carriers are involved. 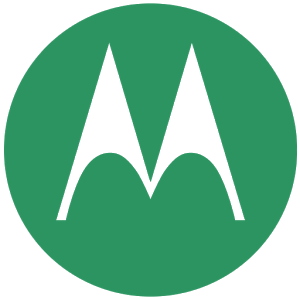 According to an anonymous tipster, Motorola is instituting a new confidential test program, giving at least some users access to much earlier updated builds for Android phones. Our source says that he or she was invited to test out a KitKat 4.4.2 build for the DROID RAZR M.
What follows is (allegedly) a forum post outlining the new Test Drive program, giving users instructions on preparation and flashing and delineating the difference between the new program and the more typical soak tests. The Test Drive will have a longer period of testing (a month or more, as opposed to a week or so with previous Moto soak tests), the possibility of multiple pre-release builds, and the expectation of feedback for every participant. In the event of an update that permanently damages the phone, Motorola will replace the hardware for the tester. Again, we have no way of verifying this information, but it looks legitimate to us. Congratulations -- you are the first group of Motorola Feedback Network members invited to take part in the Test Drive program. You were chosen because you have demonstrated that you keep your word -- when we've provided you with software, you have provided feedback. Thanks for that! The value of end-user feedback has become evident over the years, though the contributions of Motorola Feedback Network members like you. Test Drive is an effort to get end-user input earlier in the development process. This is not -- or at least not necessarily -- final software. We'll be watching your input closely to see if there are changes needed before this is submitted for final approval. I won't mislead you. As this is our first Test Drive, the software is pretty baked. This is the stage of development where we expect to be close to final. As we get more comfortable with the Test Drive process, we will offer reviews earlier in the process. But make no mistake about it -- you are the first in the program. And if you find issues of sufficient size and severity, we have time to get fixes in this version. •This soak will be a lot longer than usual. Plan for a month, give or take a week or so, if all goes as planned. •If we end up pushing you more than one version of the software, we'll close the old threads and start new ones, just to keep comments and versions matched up. •In the Test Drive program, we expect 100 percent participation. That means some comments here in the private community, and responses to surveys, from every member. No taking the software and running. The main difference is that there is, naturally, slightly more risk of a problem that could limit your phone's performance. If that happens, you MUST post here in the forums using the tools provided to alert our team. DO NOT call Verizon or our regular call center support. This is a key condition, along with perfect confidentiality. Any break with these conditions could jeopardize the Test Drive program. We've worked a long time to get to this point so I hope we can all work together and stick to these terms, and those outlined in the registration. If you do have a problem with the software that causes a problem with your phone, we'll do everything we can to correct it fast. We'll fix the problem or get a working replacement in your hands as soon as we can. Because this is brand new, we'll also be making up some things as we go along. We'll be creative. If you have questions, please post below. I may not have answers but I'll do my best. For now, I'll tell you that we expect to push software to you tomorrow, but I'm not sure of the time. Please get your Droid RAZR Ms ready, and do not Factory Data Reset until after you've upgraded. Assuming that the tip is legitimate, it looks like a post on a semi-hidden portion of Motorola's official support forums, where the company does plenty of direct outreach to its customers. I would expect that an initial group of test subjects would come from a pool of active forum posters, so it's unlikely that someone without solid history on the forum would be given access to the Test Drive. Want to get in on future tests? Spending time on the Moto forum is your best bet. If anyone else has insight into Motorola's new Test Drive program, you can leave a tip in the comments below, or use the Android Police contact page to inform us anonymously.